Single deck blackjack can be a great game if you’re getting the full 3:2 payment on your blackjacks. Unfortunately a new trend in many casinos is to only pay 6:5 on single deck games. That means if you get a blackjack on a $50 bet you’re going to be paid $60 rather than the traditional $75. This may seem like a small difference, but it can actually change the house edge from under .20% up to nearly 2%. That’s a 10X increase against you! If you’re not getting paid 3:2, then move to a different game. A multi-deck game with the full 3:2 payment has much better odds than a 6:5 single deck game. Please Note: When I refer to “best” single deck blackjack, I’m simply talking about games where you’ll get the full 3:2 payment on blackjack. For the purposes of this article, I’m not taking into consideration card counting conditions such as dealer penetration or the amount of heat you’ll receive from increasing your bets and making various play deviations. Playing optimal single deck blackjack requires a slightly different basic strategy than multi-deck blackjack or even double deck blackjack. The exact basic strategy you will want to use will depend on the specific rules of the table. This single deck basic strategy chart assumes that the dealer will hit on Soft 17 and that the player cannot double after splitting and cannot surrender. 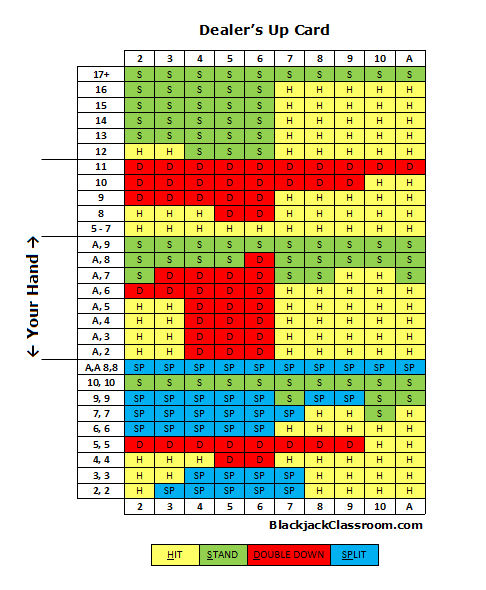 These are the most common rules for single deck blackjack.